* Optional: Chipboard, Zutter Book binding machine. * Counting Page and Pocket Page templates. Graphics are from CC33: Zoo animals. Open a landscape sheet in your print program. Import the counting page template. Import your chosen background and graphics. Print on highest setting. Now import the pocket page template. Again, import your chosen background and graphics. Add a corresponding numeral to the tag. Print on highest setting. Continue until you have as many number pages printed as you wish. My book went from 0 to 5. 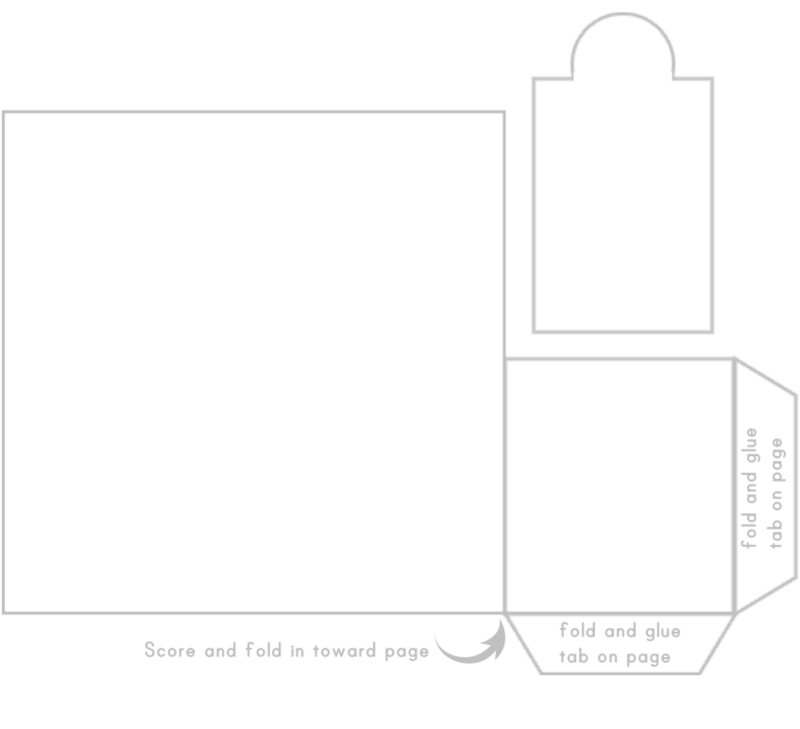 Using the counting page template again, decorate and print one as the first page of the book and one more for the last page of the book. 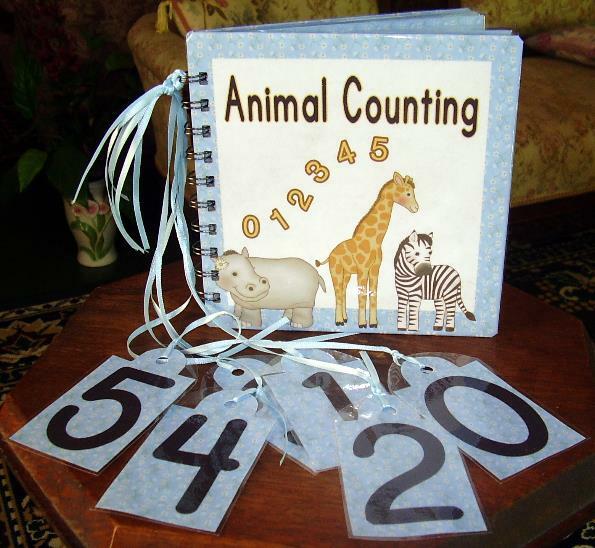 Continue to use the counting page template and decorate 4 more squares. One for the front and inside cover and one for the back and inside back cover. Cut all the book pages and tags out. Assemble the pocket pages by folding and gluing as directed on the template. 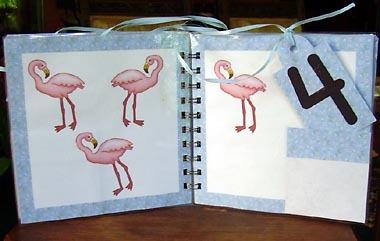 Take the first decorated page and glue your first number page to the back. 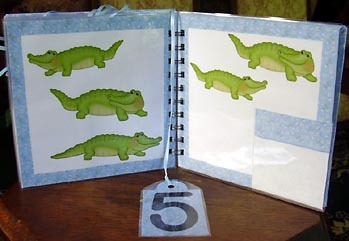 Then take the corresponding number pocket page and glue the next number page to it. Continue until you have assembled all your pages. Use an razor blade to cut the pocket slits open. If using chipboard for the front and back covers, glue your front and back covers and inside front and back papers onto the covers. I bound the book using the Zutter Binding Machine. You can also punch holes with a hole punch and bind it with ring hoops or ribbon. Punch a hole in the top of each numbered tag. Take 6" inches of ribbon and loop through the tag hole and tie a knot. Continue for all your numbered tags. Place the tags in the pockets. Gather all the ribbons and loop through your top binding ring and tie them off. This makes a great gift for a preschooler!